The world-renowned astronomer and nine-time winner of UC Berkeley’s best professor award is sitting behind a plate of steaming hot food, but he’s too worked up to eat. His sense of betrayal stems from the university’s abrupt decision last year to terminate all funding for the university’s only fully owned observatory — the only one where graduate students and postdoctoral scholars from across the UC system can design and execute their own research projects. 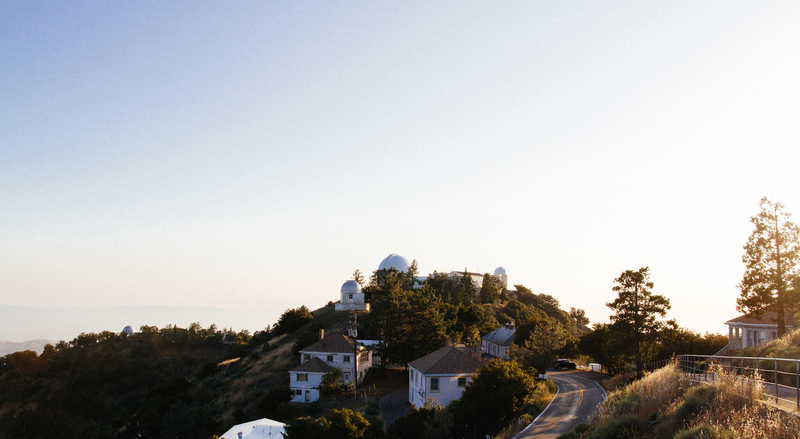 For Filippenko and others, Lick Observatory, perched just east of San Jose, California, on Mount Hamilton, represents the university’s fundamental contract with the people of California to cultivate the next generation of scientists and humanists. Yet, last September, to the outrage of many UC astronomers, students and lawmakers, the UC Office of the President announced it would be withdrawing all funds from the observatory by 2018 to shift these resources to newer facilities like the Thirty Meter Telescope, a $1.2 billion international collaboration currently under construction. To Filippenko, who teaches the popular introductory astronomy course Astronomy C10, this is a travesty. In the basement of Lick’s Shane telescope, Sona Hosseini — clad in UC Davis sweats that suggest she will be sleeping at the observatory again tonight — is crouched over a large instrument, tinkering with the manual guide camera she uses to mark comets. It’s a challenge to stabilize the camera in the basement, a cold place where the walls shake slightly as the dome ceiling moves for the Shane telescope’s nightly debut. Hosseini, fortunately, is ready to deal with any mishaps, as the instrument mounted to the telescope is one that the UC Davis doctoral student has designed and built herself. Today, as she navigates a frenzy of job offers, Hosseini credits much of her success to the independence and opportunities she was promised early on as a graduate student at the University of California. Now, as Lick faces the threat of closure, many worry Hosseini serves as an example of what the university is set to lose. 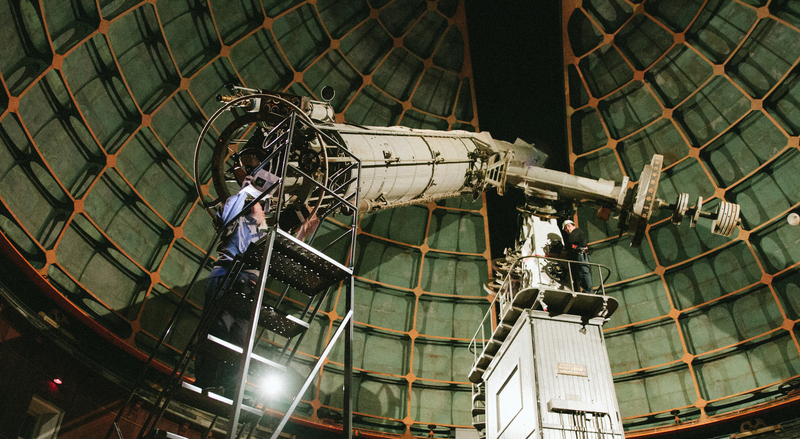 Under the plan devised by the UC Office of the President, students and postdoctoral researchers will lose the ability to be principal investigators of telescope proposals. In lieu of Lick, students will have to train at Keck Observatory, another facility partly owned by the university in Hawaii, or the Thirty Meter Telescope, also being built in Hawaii. The twin telescopes at Keck Observatory, however, are some of the most powerful on the planet — a precious resource for the most accomplished researchers in the world and one too valuable for a graduate student’s tinkering. Students are prohibited from applying for time at Keck and will be similarly restricted from the Thirty Meter Telescope when it opens. Lick, on the other hand, is fully owned and operated by the university, which allows graduate students to lead projects they independently design. This pushes students to think on their own and learn from their mistakes — to grow into leaders in their field, says Filippenko, who has 15 undergraduate students on his research team monitoring supernova explosions. In Hosseini’s eyes, the funds saved by cutting the observatory are not worth the perhaps incalculable damages to the next generation. As in a chicken-and-egg cycle, it is difficult to pinpoint the origin for the decision to cut Lick. 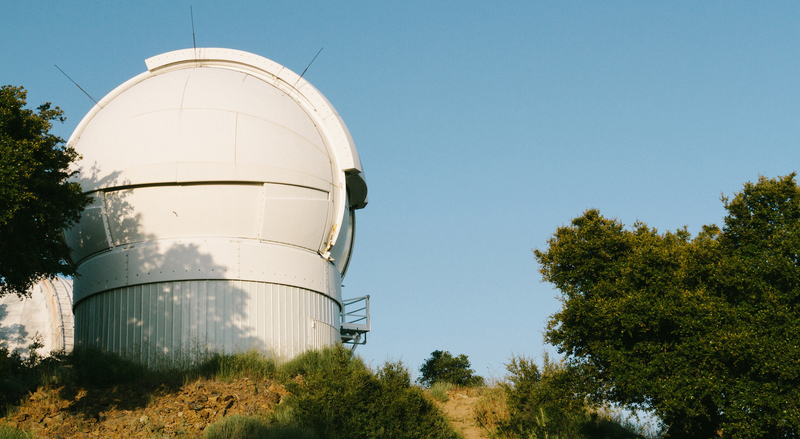 Filippenko and other researchers blame fellow astronomer Steven Beckwith, the former UC vice president of research and graduate studies, for inappropriately acting on personal biases against Lick Observatory. Beckwith, Filippenko pointed out, is a former director of the Space Telescope Science Institute and has publicly belittled the merits of ground-based telescopes, such as those at Lick, in comparison to space-based instruments, such as Hubble telescope. Beckwith, however, in an interview with The Daily Californian in July just after he stepped down from his position, said it was not his decision to cut Lick and instead pointed to the UC Observatories, or UCO, Board: an advisory board he convened in 2012 to guide the separate entity that oversees Lick Observatory. In June 2013, the UCO Board recommended the university terminate all funding for Lick. Following suit, UCOP will implement a “glide path” for Lick in 2016, phasing out all funding from $1.3 million to zero by 2018. Thus begins an administrative game of hot potato. While administrators refer to the UCO Board, the basis for the board’s recommendation seems to boomerang back to UC President Janet Napolitano’s administration. All 13 UCO Board members either declined to comment on the board’s recommendation or did not respond to requests to do so for this article. Systemwide provost and executive vice president Aimee Dorr, like Beckwith, passed the baton back to the board. The validity of that advice and its original inspiration, however, has sparked controversy and discontent among UC astronomers who condemn the board’s lack of astronomy expertise and see the board as an extension of Beckwith’s agenda. Of the 13 members on the UCO Board, only six have experience in astronomy or astrophysics. Members, moreover, were each appointed by Beckwith — “procedures which undermine the independence and authority of the board,” according to a 2012 letter signed by more than 50 UC astronomers. The letter criticized the board’s inappropriate constitution and marginal representation of the UC astronomy community. Still, Beckwith asserts the board needed a significant supply of budget-minded administrators who fully understand the realities of unforgiving budget cuts. According to Beckwith, the budget for the UC research office has decreased by 40 percent over the last six years. While other programs in his former office have suffered multimillion-dollar cuts throughout the years, UC Observatories’ budget had remained unscathed by these cuts until last year. Only now, he says, is UC Observatories experiencing the pains felt across the university system. Yet former UC Observatories interim director Sandra Faber emphasized that there is money available for Lick. In its 2014 report, the Portfolio Review Group, charged with evaluating the University of California’s systemwide research portfolio, recommended eliminating several programs it deemed unworthy of UC funds. According to Faber, cutting these programs would release $11 million from the budget, some of which could be used to support Lick. In addition, Beckwith said such assessments are irrelevant in light of the UCO Board’s “very clear” decision to scrap Lick in favor of the new Thirty Meter Telescope and Keck Observatory. But astronomers across the system, who argue Lick is in fact a crucial part of UC astronomy research, would strongly disagree. 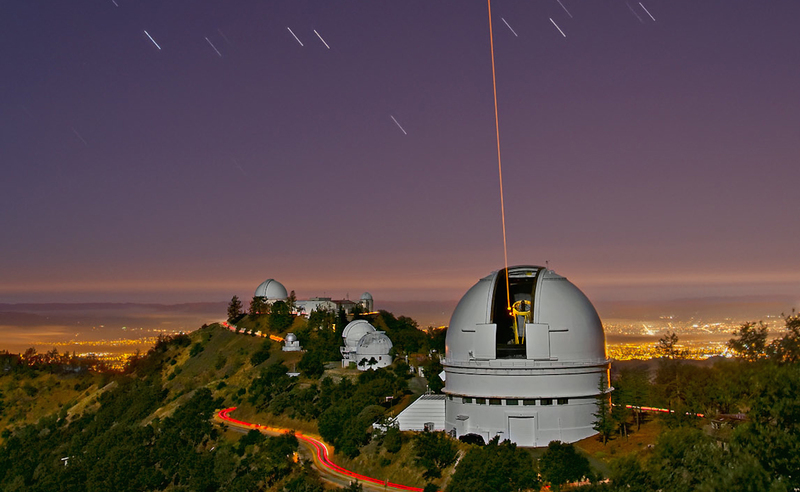 The laser beam used for adaptive optics exits the dome of Lick Observatory’s Shane Telescope. Graduate students have the opportunity to conduct research at Lick using such resources. In 2021, the Thirty Meter Telescope will open on the summit of Mauna Kea, offering unprecedented glimpses into the beginning of the universe. The telescope will eventually be the most powerful in the world, and ensuring its success is the number-one priority among UC astronomers. 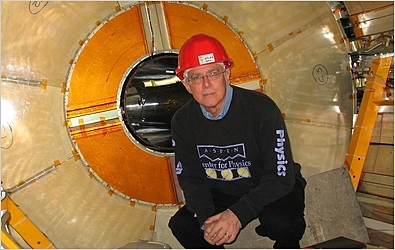 But Ian McLean, founder and director of the UCLA Infrared lab, where many of the instruments for Keck are developed, noted Lick is integral to that very effort. The smaller telescopes at Lick, he said, are where the instruments and technologies for larger telescopes such as the Thirty Meter are first tested and perfected. McLean — whose lab competes with Lick for funds — explained that though telescopes collect light, it is the instrumentation at the focus of a telescope that creates the science output and will keep telescopes state-of-the-art in perpetuity. Moving forward, the UC Office of the President plans to divert much of Lick’s money to instrumentation efforts for Keck and TMT. For many, this plan seems both clumsy and contradictory. According to Faber, Lick is currently developing a next-generation adaptive optics system ultimately intended for implementation at the Thirty Meter Telescope. 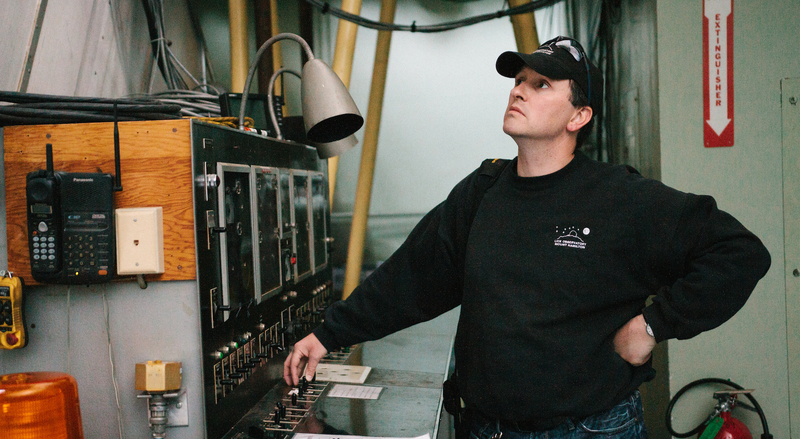 “If anyone posits that Lick Observatory is outdated, they’re just wrong,” said Lick support scientist Elinor Gates. In 2011, Beckwith organized the UC Astronomy Task Force that conducted a poll among UC faculty to establish priorities for UC astronomy and astrophysics investments. Keck and the Thirty Meter were ranked top priority. In third place was instrumentation and adaptive optics labs, and significantly below that was Lick. Filippenko called the ranking biased because of the survey’s exclusion of graduate students: Lick’s primary users. Still, as a lower priority for UC faculty, the Astronomy Task Force suggested exploring alternate funding models to reduce operating costs at Lick. “Any such cost savings should go toward funding instruments for Keck and TMT so vitally needed,” wrote the Astronomy Task Force. From here, the controversy engulfing Lick seems to be rooted in opposing interpretations of that recommendation. The UCO Board cites the Astronomy Task Force report as one of the main qualifiers behind their recommendation to cut all funds for Lick. 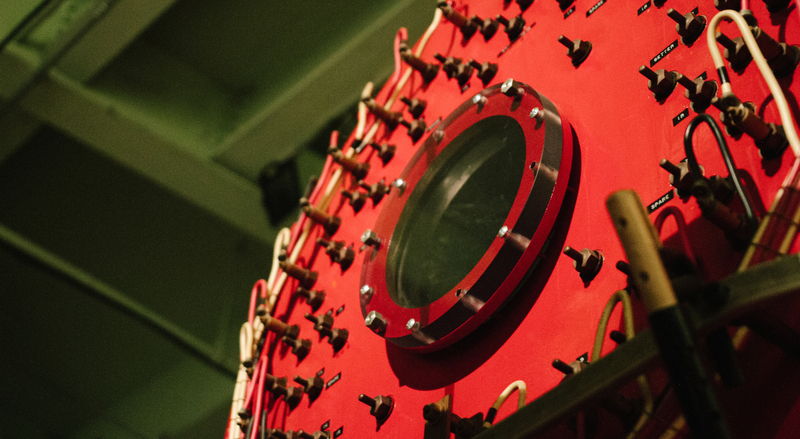 “Accordingly, all cost savings resulting from the repurposing of Lick should be used to support the development of instruments for Keck and TMT,” the board wrote. But Illingworth argues the lower ranking was not meant to preclude Lick from receiving university funds but to establish its lessened portion of the budget. The budget for UC astronomy is about $21 million a year — about $13 million of which funds the UC’s share in Keck. Lick’s operating budget, roughly $1.3 million, accounts for about 6 percent of the total astronomy budget. According to Dorr, the only way Lick could continue receiving university funds after 2018 would be if astronomers provide for it within UCO’s budget by reducing support for Keck. Dorr doesn’t believe that will happen, and the astronomers know it won’t. To determine a final transition path for the observatory, the UC Office of the President has embarked on a “Lick Transition Study Project,” collaborating loosely with the Lick Observatory Council, which oversees the philanthropic group Friends of Lick Observatory. But Robert Kibrick, a member of the council, says members remain in the dark on the transition study’s progress, and administrators have taken no concrete steps to secure outside funds. Intrinsic to astronomers’ various grievances is what they perceive as a lack of transparency or earnestness on the part of Napolitano’s administration as a potential crisis awaits Lick Observatory. What will happen if alternative funding can’t be found? This month, though, five turns to four. And as the 2016 ramp-down looms, Faber says a chilling effect has already taken hold: Faculty members have already gone on to greener pastures. It is a self-fulfilling prophecy, she says. “You say Lick is not important, we’re going to close it — it becomes unimportant because people think it’s going to be closed,” Faber said. Filippenko, president of the Lick Observatory Council, said the university’s actions have in fact undermined astronomers’ fundraising efforts, as potential business partners hesitate to invest in an observatory that risks closure and has been deemed unimportant by the university. Former UCO director and UC Santa Cruz astronomy professor Michael Bolte says if Napolitano could just meet fundraisers halfway, kicking in something like $750,000, astronomers would be better equipped to find matching funds. Dorr and Beckwith, however, say this is not likely. But Napolitano’s response, ghostwritten by Beckwith, displays numerous errors of fact that Filippenko says glaringly misrepresent the observatory. I congratulate Virgie Hoban on her thoughtful and thorough Sept. 2 article about the University of California’s Lick Observatory, “Facing a waning future: Researchers reel from defunding of only UC-owned observatory,” as well as The Daily Californian’s Senior Editorial Board for its follow-up comments in “Student research comes first,” published Sept. 4. I am pouring my heart and soul into saving Lick largely because of my deep commitment to UC students and postdoctoral scholars who would be disproportionately affected by its defunding. Costing only $1.3 million per year for core operations, Lick delivers a fantastic bang for the buck and is also the public face of UC astronomy in California, annually serving more than 35,000 visitors. In her Sept. 9 response, “UC does not plan to shut down Lick Observatory,” Provost and Executive Vice President Aimee Dorr states that “the University of California never planned to close Lick Observatory.” But this assertion is disingenuous. Most readers conclude that if UCOP systemwide funding for Lick vanishes by 2018 and other funding isn’t found, Lick will shut down, especially because UCOP has not articulated any specific alternative sources of funding. We are grateful that Provost Dorr is now publicly supportive of Lick and recently agreed to provide some UCOP funding to help pay for an expert positioning and marketing plan commissioned by the Lick Observatory Council, of which I am president. These are positive signs of progress. But though I favor this long-term strategy, the current situation is critical: concrete fundraising must commence immediately, because the UCOP ramp-down will begin in 2016, and we risk losing our best employees by mid 2015. Time is ticking — we need to take action now. UCOP, ideally, would provide funds — $1.3 million per year — for core operations of Lick. Additional private donations could then be used for improvements that would keep Lick at the forefront of research and education. But at a minimum, UCOP should provide $650,000 annually to match funds we obtain from private donors. I have discussed Lick with many potential donors, and they frequently request a financial commitment from UCOP. Otherwise, Lick appears unimportant to the UC top brass, so they may likewise lose interest. I have informed UCOP of prospective donors’ desires. And in the May 12 edition of the San Francisco Chronicle, an article about the Lick funding situation stated, “…(Dorr) said (Lick’s) supporters will need to meet the university ‘halfway there, or even a quarter-way there.’ ” To many, including myself, this sounds like UCOP is indeed willing to provide matching funds — but before making promises to potential donors, I have repeatedly sought clarification from Provost Dorr, to no avail. Please, Provost Dorr, give me the ammunition needed to help us succeed in Lick fundraising. I believe, out of an annual UC budget exceeding $23 billion, funds for at least partial support exist. For example, starting in 2018, the university’s share of the operating costs of the twin 10-meter Keck telescopes in Hawaii drops to 50 percent: a savings of about $6.5 million per year. Indeed, with an endowment of only $30 million — not much larger than the probable Lick-closing costs — the university could fund core Lick operations in perpetuity. But is Lick really a priority worthy of UCOP funding? Yes, it is, when you consider all of the relevant factors: Lick’s low cost, which is only 6 percent of the UCOP astronomy budget; important projects requiring huge numbers of nights on modest-size Lick telescopes, which is not doable with the giant Keck telescopes; new cutting-edge instruments efficiently developed and tested at Lick; public outreach and, especially, Lick’s accessibility for UC students and postdocs. The UC Observatories Board, unfortunately, recommends that UCOP funding for Lick be phased out. But committees sometimes make mistakes. Several astronomers on this board don’t use Lick for their personal research, and a significant fraction of the members have never even visited Lick. The opinions of students and postdocs were not solicited. Many UC astronomy faculty do not conduct projects suitable for undergraduates, but they should still support those of us who do — for example, roughly a dozen undergraduates in my group use Lick — just as I favor the building of a specific new instrument for Keck that might cost $10-15 million, despite not personally planning to use it. I’m also disappointed that some faculty seem to place little value on the training and independence gained by graduate students and postdocs who lead their own research projects at Lick — or on the building and testing of new instruments, an activity so passionately described by UC Davis graduate student Sona Hosseini in the Sept. 2 article. UC President Janet Napolitano easily could do the right thing. The decision to ramp down and terminate funding for Lick was made before she took office. Thus, she could reverse it, diplomatically citing a reassessment of the relative costs and benefits, especially for UC students: the very people the university is designed to serve. In so doing, she would end this controversy and add credibility to her assertions that she really does value the students of the university. Students and others, meanwhile, can make a difference. Find out more about Lick at http://www.ucolick.org/SaveLick/, and click on the “Save Lick Observatory” tab to learn about writing letters to UCOP, donating funds, becoming a friend of Lick Observatory and raising public awareness. Together, we can save Lick! Alex Filippenko is an astronomy professor at UC Berkeley. [Here is a link for the Lick donation page. Here is the mailing address if you just want to mail a check as I did. Checks should be made out to the UC Santa Cruz Foundation with Lick Observatory written in the memo line or on another sheet of paper. Please note that the UC Observatories (which includes Lick) are headquartered at UC Santa Cruz and operate on behalf of the entire University of California system. Lick Observatory is an astronomical research facility in California that has been in operation since 1888. Astronomers at Lick are searching for planets outside the solar system, trying to understand how stars and galaxies came to be, and doing a survey of supernovae to learn about the universe’s history. The University of California owns and operates the observatory; however, Lick will soon lose funding. The office is spending the next three years in search of new partners to take on a share of the cost, the website said in mid-2014, and is also examining how much it would cost to close down the telescope and deconstruct it, leaving the site close to its original condition. The facility sits at 4,200 feet (1,280 meters) atop Mount Hamilton, which is east of San Jose, California. Funding came from James Lick, who bought 37 tracts of land in San Francisco in 1848, just weeks before the gold rush, according to the observatory’s website. Lick bequeathed funds before he died in 1876, desiring a telescope that was “superior to and more powerful” than others that came before it, states the observatory’s website. “Lick’s deed of trust did not spell out the details of the new observatory, leaving the board of trust great latitude and a great burden of responsibility in carrying out his wishes,” the website added. The board debated whether to use a refracting telescope (which focuses light with lenses) or a reflecting telescope (which uses mirrors instead), but at the time, reflectors were just coming on the scene. Officials elected to use a refractor at first (only adding a reflector in later years). Most telescopes of the era were built in cities, but astronomers were rapidly meeting with disadvantages as light pollution became more prevalent. This led astronomers to choose a mountaintop site instead for the new observatory. Lick bills itself as the “first permanently occupied mountaintop observatory in the world,” and currently houses several telescopes. Lick’s extrasolar planet search involves monitoring about 1,000 stars that are close to the sun’s age, temperature and luminosity (intrinsic brightness), Lick states. This is done using the Shane reflector telescope and the Hamilton spectrograph, as well as a newly built Automated Planet Finder. “Many Jupiter-size and Saturn-size planets have been discovered. As technology improves, smaller planets will be discovered more frequently. The ultimate goal of extrasolar planet search is to discover a solar system similar to our own, with Earth-like planets that may support life,” the Lick site states. Additionally, Lick astronomers are looking at stars to see how elements are created — particularly, how stars evolve to create metals and other elements. The scientists examine older stars that are at different phases in their evolution, looking for similarities and differences. Astronomers also look at high redshift galaxies, which are quite far away from Earth and are early in their evolution. Another research direction is examining supernovae to see why stars explode and what types are more prone to exploding. Lick’s outreach program includes a summer observation program in which visitors are allowed to look through the 36-inch (91 centimeters) Great Lick Refractor and the 40-inch (101 cm) Nickel Reflecting Telescope. Additional telescopes from amateurs are available outside. Astronomers also give lectures on their research. The observatory also holds a Music of the Spheres Concert series every summer, which includes tours, lectures and viewings through the telescopes. Music can range from jazz to fusion to Celtic, according to the 2014 program. This is copyright protected, so just a glimpse.